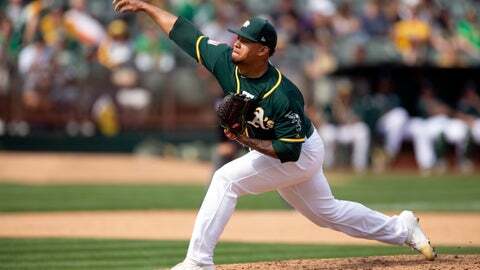 Melvin didn’t use a projected starter in Oakland’s 5-4 exhibition win over San Francisco, instead relying strictly on his bullpen to carry the pitching load. Nine relievers combined on a six-hitter. Mark Canha hit a two-run double off Ty Blach to highlight the A’s four-run seventh inning. Jurickson Profar added an RBI single and Marcus Semien doubled in a run.